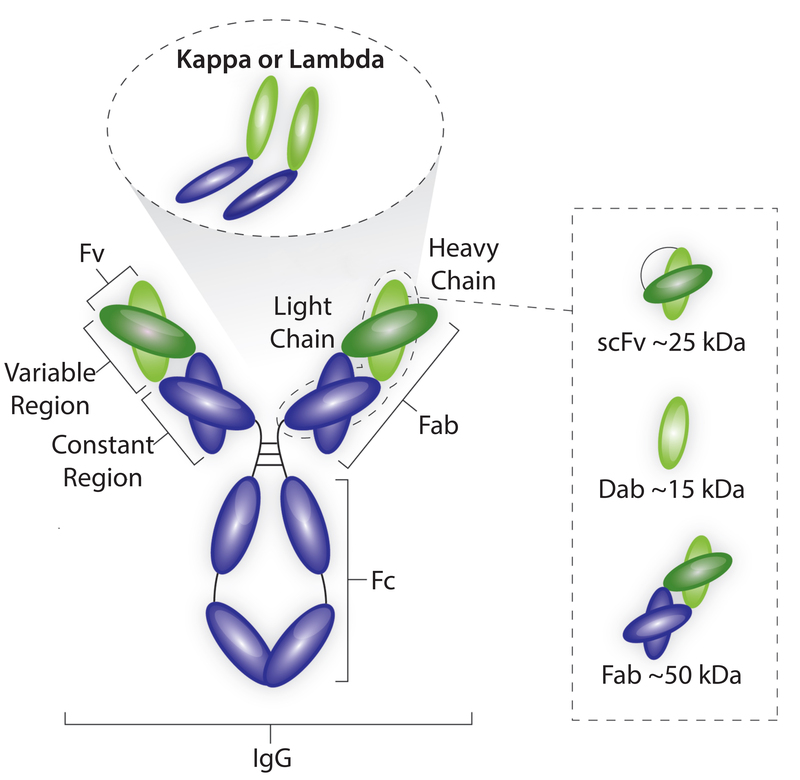 Although the number of bispecific antibodies approved so far (two) and antibody fragments either approved or with an investigational new drug (IND) filed (∼20, both antigen-binding and variable) are far below the number of approved and candidate monoclonal antibodies (MAbs), research in both fragments and bispecifics continues to look promising. And as Jonathan Royce, business leader for chromatography resins at GE Healthcare, discusses here, both offer specific therapeutic advantages over MAbs. But manufacturers should be aware that their diverse structures will require specific processing strategies. BPI: Antibody fragment therapies have been a part of the industry for a while, yet there not a lot of focus on them in conferences, and publications. Why do you think that is? Royce: Fragments are still a very small part of the overall therapeutic use of antibodies today. 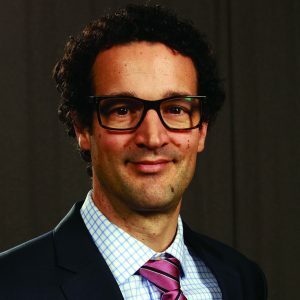 Over the past 10 years or so, there has been a number of interest in fragments because of their size, their ability to reach targets that full-sized antibodies can’t reach, and their ease to produce compared with full-length antibodies because in most cases they do not require mammalian cell line expression. They are relatively simple molecules, but for some reason, their market has not grown to the size of that for full-sized antibodies. Part of that just may be timing. But some of it also may be related to other issues that have been a little harder to overcome, such as how quickly our bodies metabolize fragments as opposed to monoclonal antibodies (MAbs). A lot of researchers have looked at techniques to improve the half-life of fragments in vivo, the most common of which is PEGylation. Of course, if you increase the size of a fragment to increase its half life, you also might be losing some of advantages such as its ability to cross the blood–brain barrier. However, if you look at articles in both trade and scholarly journals, I think what unfairly has taken a bit of the focus off of fragments is that as people started to work with fragments, they also started to look at the structures to create bispecific antibodies. And commonly when people referred to bispecific antibodies, they focused on the word antibodies almost as if they are a full-length antibodies. But many bispecific constructs are actually some type of antibody fragment. They target two different sites and have a heterogeneous binding that is common to all bispecific molecules, but their underlying structure is a fragment. I think the fact that fragments aren’t a focus in a lot of those technical discussion forums is not because people aren’t working with fragments, but because often they are referred to differently. And they’ve also gone one step further and started to create bispecific constructs that are indeed some sort of fragment or very similar to a fragment if that molecule targets a single immunogenic site. BPI: You mentioned some advantages of antibody fragment therapies over full-length monoclonal antibodies. What are others? Royce: Antibody fragments can reach biological targets that full-sized antibodies can’t reach because of size. The most commonly stated is the ability to cross the blood–brain barrier. For brain tumors, a fragment may be more likely to get in and disrupt the growth of the tumor in a way that a full-length antibody could not. If you take the next step and take a relatively small molecule to make it a bispecific construct, you can then, for example, target a tumor with one of the domains. And you can use the other domain to redirect T cells to the tumor, for example, which helps disrupt tumor growth. Or you could use the second target to deliver a payload to tumor cells and improve efficacy of a cancer treatment, for instance. I think that is the reason for much of focus on bispecifics today. They open a number of opportunities that traditional antibodies don’t. You simply can’t get dual-site targeting with traditional antibodies; it’s going to look for only one specific site. 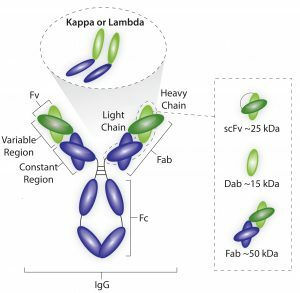 And being smaller, antibody fragments are simpler biological systems. All advantages that exist with “traditional” fragments, also apply to bispecifics. There’s such a long time from when development starts to when therapies make it to market in a big way. It’s fair to say that although bispecifics and antibody fragments have been researched for many years and have been discussed in earnest for roughly a decade, they are still a relatively young class of therapies. I think that in the next five or 10 years the market might have several more approved antibody fragments and bispecific antibodies. BPI: Are there specific technologies that help move research and development forward? Royce: Like much of the progress in our industry, a lot has come from advances in cell technology and the fact that people have figured out how to create stable constructs of fragments in a cell. Some very early fragments came from antibodies that had been fragmented using a postexpression step to break them up. Once you get to the state in which you can just take a cell line and use it to express a fragment directly so that the molecule is stable, that opens up the field for people to begin looking at different constructs. I would love to say that advances in downstream technology focused on fragment purification have been enabling as well, and I think in some cases they have. But the real key has been the work in upstream production to understand the structure and biology necessary to exposing fragments in a stable way and in quantities that are large enough to make their production economical. BPI: In June 2015, you wrote an article for BPI on downstream platform solutions for antibody fragments. Have there been updates on those or further research into other process needs? Royce: As we’re seeing a diversification in the number of antibody structures, we’re also seeing a natural diversification in the ways that people are purifying those structures. I think no one would argue with the fact that protein A is the enabling technology for purifying full-size antibodies at large scale. There is no single technology that can address all the different structures that exist for fragments and bispecific antibodies. So there are more purification technologies being tested and implemented to deal with that diversification. At individual companies researchers are building platform around a specific structures. So they have made their bet on a type or maybe a couple types of fragment/bispecific structures, and they are working on a pipeline within that field, which enables them to create a purification platform that’s specific to the structure they’ve chosen. But then if you look across the entire industry, those platforms are much more diversified than the platforms that individual companies developed for full-length antibodies. BPI: What types of companies are developing antibody fragments? Royce: Every large biotechnology company has some sort of initiative going on around bispecifics and fragments. Many of them have partnered with research institutes for drug development. The larger biopharmaceutical companies are then taking those drugs and bringing them through clinical trials and developing production and purification platforms for them. In some cases, research companies have been acquired by larger biopharmaceutical companies, and in some cases they’re developing very strong collaborations. One of the few approved bispecifics on the market is a drug from Amgen. It’s based on their BiTE platform. They acquired the technology several years ago. And there are other partnerships between companies in which one focuses on development and another on commercialization, for example the partnership between Gilead and Genmab. BPI: Are there issues that are preventing full-scale processing? Royce: I think it’s fair to say that there are additional purification challenges that require creative thinking to overcome. With traditional antibodies, you’re separating a target antibody from host-cell proteins, which is a relatively well-established separation. Other impurities you may have to deal with are fragmented antibodies and high–molecular-weight contaminants such as aggregates. For bispecifics, you also have the challenge of trying to separate your drug (which has two targets) from variations of your drug that have a copy of a single target. Developers normally refer to this as “the three variants”: One is what they call AA. That’s where you have one target (A), and that’s an impurity. Then there is BB, the other type of impurity, where you ended up with the same target on both of the variable regions. And then you have AB, which is your drug. You want the AB version because it has heterogeneous variable regions that target different things. But you always ended up to some quantity of AA and BB, and those are hard to separate because they essentially are the same size as your drug. So, you have a more tricky separation to achieve because size is no longer an advantage. So in that sense the development work is a bit more challenging than what you’ve had with traditional antibodies. But once development is done, manufacturing isn’t more difficult. In fact, you could argue that manufacturing in some ways could be a little simpler because, for example, you don’t always need mammalian cell lines to make bispecifics. Some can be expressed in bacteria, which is a much simpler and more productive expression system than mammalian cell lines. BPI: Is processing the same for antibody fragments and bispecifics? Royce: At a high level, processing antibody fragments and bispecifics looks similar to antibody processing. It fits well into existing manufacturing facilities and is something that contract manufacturers can do because often they have all the necessary equipment. But there are some differences in the way the steps are operated and in some technologies used. For example, hydrophobic-interaction chromatography (HIC) resins and multimodal resins are used more commonly used with bispecifics and fragments than for full-length antibodies. That is partly because of purification challenges but also because of historical reasons. Some patents have blocked people from using HIC resins in antibody production. It’s more common to see gradients used than just step elutions in purification. And the ultrafiltration membranes that concentrate the products are typically much tighter. They have much smaller pores than those used for antibodies simply because the molecules are smaller. So, they need tighter membranes to retain them. And that means it’s not uncommon for those steps to take longer than they would in an antibody process. That is because as you make a membrane tighter, it becomes less permeable, which increases your process time. BPI: Do you see antibody fragments becoming mainstream therapeutics in the future? Royce: There’s a clear trend in which antibodies in general are diversifying away from a single structure that everybody is working on with very small variations. So the manufacturing processes will be more diversified in the future. I also think there will be more diversification of the platforms used. I don’t think we’re going to go back to the days of every molecule having its own unique purification process. People will still work toward developing a manufacturing platform from the structures that they have decided to develop as therapies. But there probably will be more platforms in the future. And I think that companies supplying manufacturing technologies to the industry will be required to also diversify their portfolios in response to the diversification in the antibody market itself. There’s a clear trend toward more bispecifics and more fragments. At an industry level, that’s going to lead to less standardization than in the previous decade. But at the company level, it’s going to look relatively similar to what they’re used to today. But definitely for suppliers, it’s going to mean that we will need to diversify at least to some extent in response to the broadening of the antibody market.